The 155-year-old department store chain has partnered with Redwood City, Calif.-based to install iBeacons transmitters — called shopBeacons — throughout the chain’s flagship Midtown Manhattan and San Francisco locations, reports GigaOm. 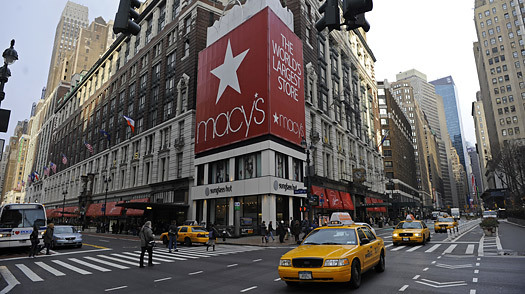 This technology will allow Macy’s to track shoppers’ movements throughout the stores, serving up different offers based on the floor or department the customer is in. In addition to one-off location-based alerts, Macy’s are using the shopBeacons technology to tie customers’ at-home shopping with their in-store visits. “If [a customer] “likes” a specific product in the app, shopBeacon can remind her when she enters the store that sells it,” according to PR. Get the Beaconic Retail Kit NOW! ORDER A KIT!